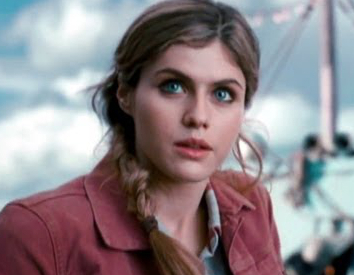 The new international trailer of Percy Jackson: Sea of Monsters brings back some old memories. It features some old scenes seen in the last movie to give audience the feel and bridge to the continuity of the story. But of course it also features new scenes from the movie along with longer lines and dialogues. Percy Jackson: Sea of Monsters stars Logan Lerman, Alexandra Daddario, Jake Abel, Brandon T. Jackson, Douglas Smith, Leven Rambin, Nathan Filliona and Stanley Tucci. This movie adaptation based on the book by Rick Riordan is directed by Thor Freudenthal and written for the screen by Marc Guggenheim. Enjoy the new international trailer of Percy Jackson: Sea of Monsters below. Percy Jackson has had an unnervingly quiet school year. But then he discovers that the magical borders protecting Half Blood Hill are failing. Unless something is done, the camp will be attacked by demons and monsters. The only way to restore power to the camp's borders and to save their home is to find the mythical Golden Fleece. And the only who can undertake this dangerous quest are Percy and his friends. Embarking on a treacherous odyssey into the uncharted waters of the Sea of Monsters (known to humans as the Bermuda Triangle), they battle terrifying creatures, an army of zombies, and the ultimate Evil. Percy Jackson: Sea of Monsters hits cinemas on August 7, 2013.